Welcome to our very first "Pre-sneak party" blog hop! Since this is a bigger release than usual, we want to share as much as we can before our sneaks starting on Monday, April 15th along with our HUGE release on Friday, April 19th @ 8am. I'm not sure if you noticed or not, but we decided NOT to state the products each of us used on our projects today! The reason for this is because we wanted to play a game w/all of YOU! Yep, we want YOU to guess what is the new "item" we are using today! Leave your answer in the comments in this post for a chance to win one of the new releases! Thank you for stopping by today and make sure you check out the rest of the design team! Big crafty hugs to you all! This is AMAZING! I think the potty people stamp set is new. WOW!!!! This is awesome!!! LOVE all the MCT products you used!!! that potty person stamp is GREAT!!!!! This is absolutely gorgeous, Nancy! What a beautiful keepsake!!! 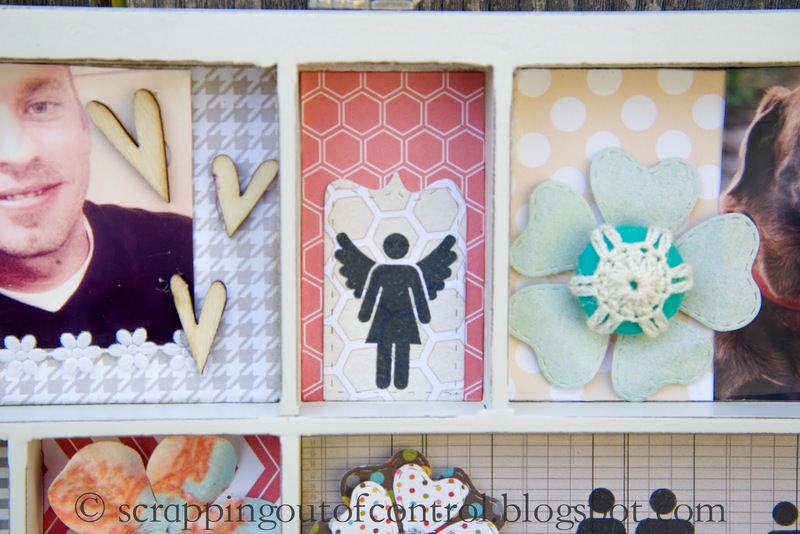 Wow, great shadow box! Love the angel, I think is new and sentiments. Great job! I really love this projects. Those shadow man/woman/family stamps are too cool. That angel is also adorable. This is amazing! Love the family pieces and I believe these are part of the new release. HOLY COW!!! This is to die for! What a fantastic job you did on this. I'm totally loving it. Great job!!! Omg, I love it, the family set and sentiments are new! Tfs. The people and sentiments stamps. WOW! So many details! LOVE this! The people are sentiments are new. great project! The peeps and stamp and die are new. This is gorgeous! The people and sentiments are new. this layout is very nice!! love it! so looks like new family dies and sentiments to go with and the angel wings stamp. WOW what a gorgeous project. Love all the elements, I believe the people and the sentiment are a new addition. So lovin' your shadow box. I am guessing that the people are the new item and the angel with the wings. Super sweet project, l-o-v-e it. The people and angel stamps are new and the sentiments are new. I can hardly wait 'til Friday. Woot woot! Wow!! That is amazing!! I love it! As for the products... I see the blessing sentiment and the silhouette stamps. Wow such a beautiful shadow box. I love it. 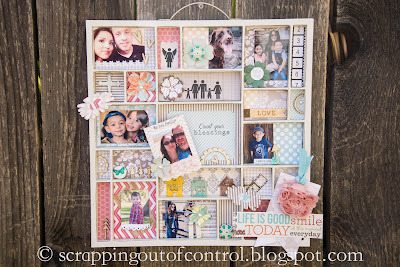 The new items is the stitched library card die cut, that cute flower, and the people and just maybe that little die cut board by the picture of the little boy. Ha Ha I don't know but cant wait to find out. Amazing display! New dies and cute people stamps!! I love it!! You did an awesome job on your display!! The new people stamps and dies are so cute!! The people stamps are new. Great project. I think the people stamps and sentiments are new. Love your project! 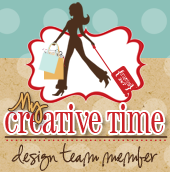 I think the new item you guys are all using is my creative time inks??? Maybe Emma came up with her own ink formulation????? Wow.....what a great project! I would say the people sentiments. LOVE LOVE LOVE this! I think it's the little people who have shown up a lot plus new sentiments. What a beutiful display. I think the people dies and sentiments. Beautiful project. So creative. I am thinking the person stamp and the sentiments about life. Gorgeous! Bathroom People and sentiments. Adorable project. Love the tray idea this is fantastic. I think the "angel" is perfect how sweet. Love the cute sentiments too. I'm thinking its the potty people and the sentiment dies. Love your project. flower die with center. The people and angel stamp also. new people stamps--what a great wall hanging! Beautiful project! New items guess - people stamp with wings (too cute) and sentiment. Thank you for sharing. Love those little people dies and stamps. Wow this is amazing! TFS. I'm going to gues the angel and the family. Love them. My guess is the silhoette people/family. Wonderful project - so much detail and such fabulous colors! Great job with your shadow box! 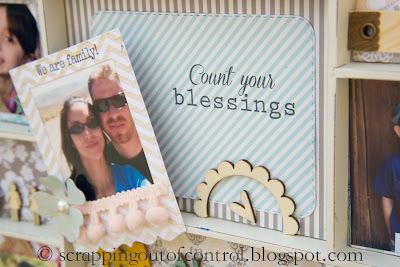 My guess is the Daisy dies, people stamps & angel, count your blessings and we are family sentiments are new. What a pretty shadow box. My guess for new items is the bathroom people and sentiment, Life is Good! Love the shadow box!! The family stamps and sentiments are adorable. Can't wait to own these!! 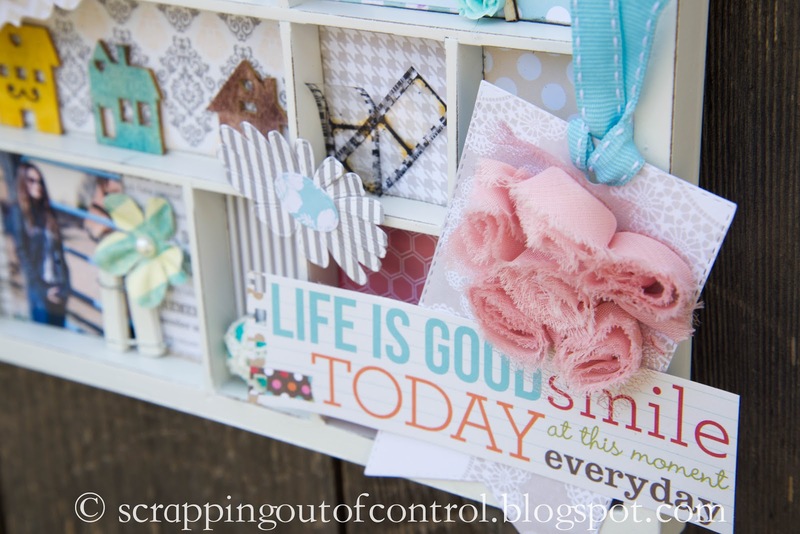 Love this project Nancy! 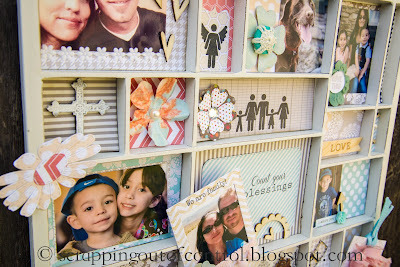 I am loving the family dies, and sentiments ! are the angle wings new for the people, omg that is such a great idea!!! I love this!!! the people stamps and angel person is new! I absolutely love this! 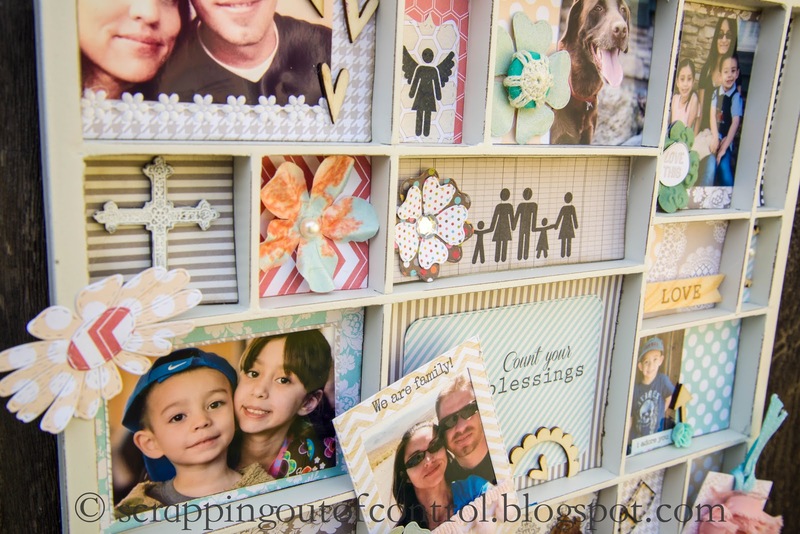 The new items are the frame die, people stamp and sentiments. OMGosh this shadow box is awesome!! I think the new items are a frame die, the family stamps, the angle stamp and looks like maybe a new flower die! I absolutely love your project! So beautiful! I think the new products are people stamps and the sentiments! 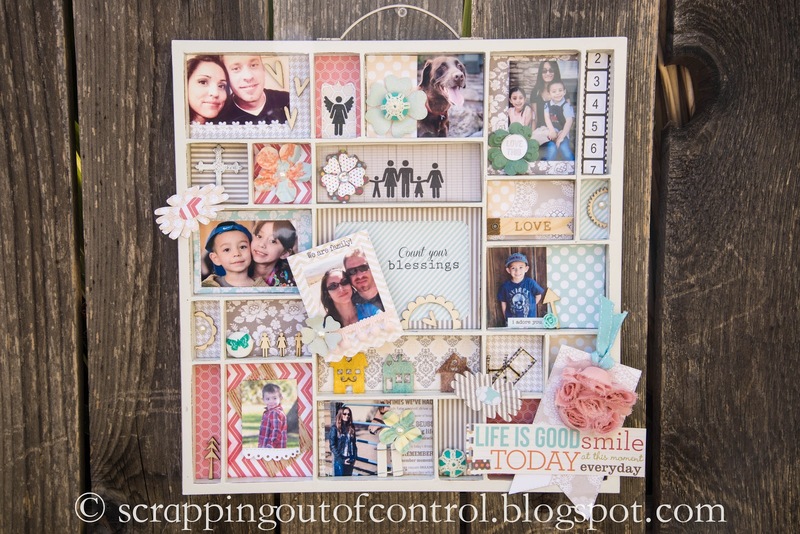 my guess the family and sentiment stamps, people die cut. very detailed project. Well done. Love this shadow box...so fabulous. I think the family dies/stamps/sentiments are new. I'm guessing the new items are the people stamps and the sentiments!! Nancy ~ WOW, WOW and WOW! EVERY single details is GORGEOUS, PERFECT and AMAZING! I can't say too much because I don't want to be the party pooper here! LOL!